Whilst it's almost certain most people would know of the term Jekyll and Hyde as a term used to describe someone who can change personalities be it induced by drugs, alcohol, medical or a mental disorder or as in the story by a man made potion. The origins of the characters and why the author chose these names is probably not known at all; we move to shine a light on this and the twist that involves banknotes. The Novella "The strange tales of Dr Jekyll and Mr Hyde" penned by the famous author Robert Louis Stevenson in 1886 seems to have had its characters' origins in the membership list of Society of Telegraph Engineers (STE) of 1872 The names of several characters described in the book can be found within the membership list. Professor Fleeming Jenkin was also a member of the STE. His name appears just below that of Jekyll and Hyde in the membership list. An excerpt of the names is attached below. Our Interest turns to Col Hyde R.E., as then Captain H Hyde R.E. 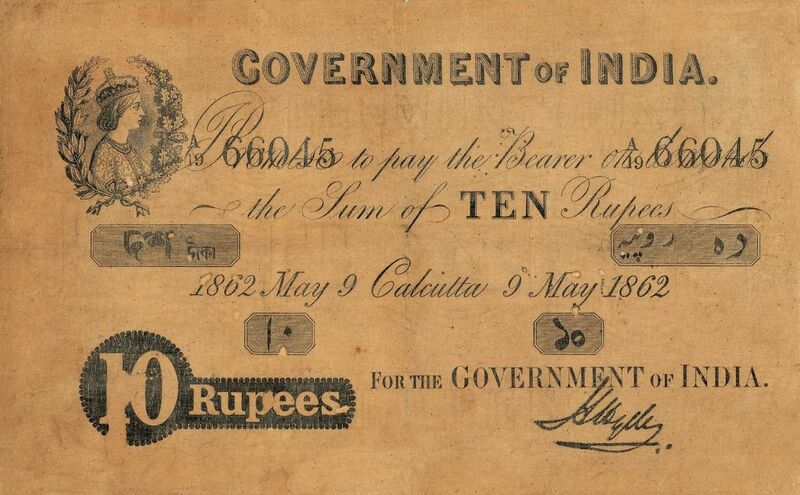 he was master of the Calcutta Mint 1861-1876 and Head Commissioner of paper-currency 1862-1870. During this time he was the signature on all Calcutta circle banknotes both first and second issues that were issued by the Indian Government. Henry Hyde retiring as Major General, was born in 1824 in Camberwell England he was a military man most of his adult life. Engineering and coin collecting were two of his lifelong passions. Serving in India as a mechanical engineer, he was instrumental in the development of roads, rail and several Military deployments in India. Towards the end of his active service he was appointed Master of the Calcutta Mint. The Government changed the laws in 1860 to stop private banks from issuing paper money. This responsibility now fell to the Government which set up circles (regions) to control the issuing of currency. Banknotes were only redeemable in the circle of origin a practice used until the early 20th Century. During his tenure as master of the mint he made several advancements in the mints production of coins changing a lot of slow practices and improving the furnaces etc used to deal with the metals involved. 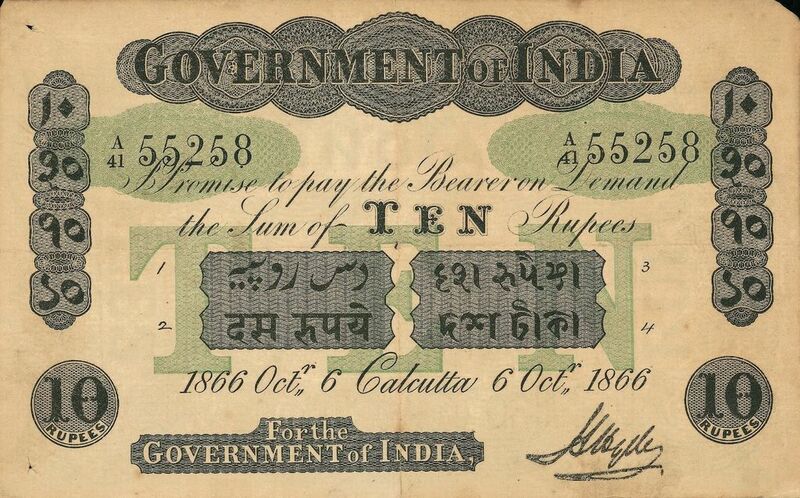 As paper money was only printed and shipped to India from England he merely had to put his signature on the notes and oversee distribution. It is of course speculation that any of this happened however the facts are presented and if not how it happened then it's a fantastic coincidence. Hyde probably never knew of the connection to him, he died in 1887 probably not knowing of the novella's existence still his legacy will live on in our hobby as signatory to some of the rarest notes in the world.